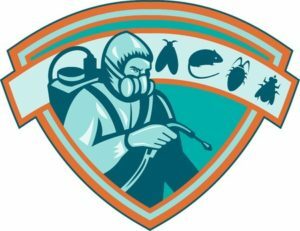 Kalamazoo Pest Control Pros offers bed bug removal & exterminator services for residential and commercial properties in Kalamazoo, MI. If you are in need of a bed bug removal service, do not hesitate to call Kalamazoo Pest Control Pros today. Bedbugs have recently made a comeback and are now infesting many homes all across the nation. One reason why these pests are such a big problem is that they’re very difficult to get rid of completely once they make their way into a home. This is why bed bug removal is a task that’s best left to pest control professionals. 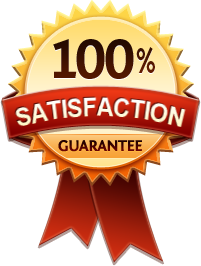 Our company offers professional Kalamazoo bed bug exterminator service. If you need bed bug removal for your property in the local area, get in touch with our company and we can help out. Adult bedbugs are oval shaped insects the size of an apple seed and have a reddish to brown color. What sets them apart from other kinds of insects that commonly infest homes is that their diet consists exclusively of blood. This means that they won’t be deterred by good housekeeping, as they simply don’t care whether your house is spotless or has crumbs of food all over the place. This allows them to thrive in any type of building where humans spend a lot of time, whether it’s a shabby looking cabin in the woods or a luxury hotel. While bed bugs may also bite pets such as cats and dogs to get their blood, they have a preference for humans. The pests often hide in or near furniture pieces on which humans are immobile for extended periods of time, giving them a better opportunity to get a blood meal without too much risk of getting crushed. Beds, couches and recliners are their favorite hiding places, as they can stay out of sight while waiting for someone to bite. Due to their feeding habits, these pests will be found most commonly in homes and hotels, but they can also infest commercial buildings where people sit for hours on end, such as movie theaters and offices buildings. For more information about bed bugs directly from the EPA, visit this website. If you spot one of these pests crawling around your home, it is important to contact a bed bug exterminator quickly. Same goes if you notice itchy and slightly red bite marks after sleeping, as these are signs that you’ve been bitten by a bedbug. As they’re a pest that reproduces very quickly, don’t delay getting in touch with a bedbug removal professional. The longer you wait, the more difficult it will be to treat. For Bed bug removal Kalamazoo, MI, call the Kalamazoo Pest Control Pros. A quality bed bug exterminator will use various techniques to fight the infestation by killing the pests and their eggs. Professional pest control products that have been specially formulated to be effective on bed bugs will be applied to the areas of your home where they’ve been found. Your pest control professional will also give you advice on how you can help ensure that the bed bug removal work will succeed in eradicating the pests from your home. This may include washing all linens and exposed clothes in hot water, then putting them in the dryer for two cycles at the hottest temperature to kill any bugs hiding within them. In some cases, a single visit will eliminate every bedbug in your home. However, repeat visits are sometimes required if the infestation was large and spread out all throughout the home.